Your Rights. Every member should become familiar with their rights under the Collective Bargaining Agreement and their right to Union representation. 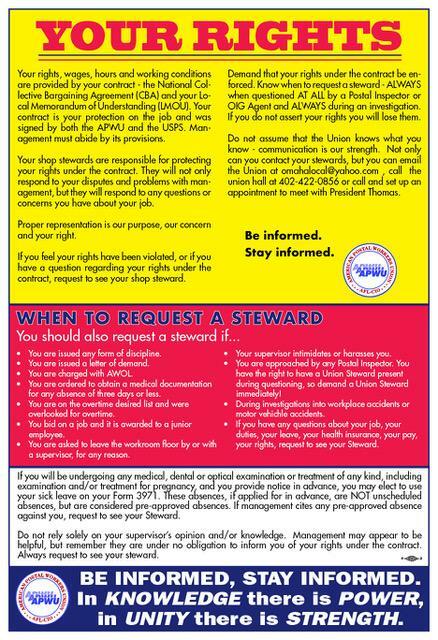 Remember, you can ALWAYS ask for a Union steward! The Omaha Area Local is sponsoring the 2019 Henry Doorly Zoo membership drive for our members and members of the Omaha Area Local Retiree Chapter. The Omaha Area Local and Omaha Area Local Retiree Chapter will pay $10 of the price of the membership cost. Read more about how to apply in time to get your discount! 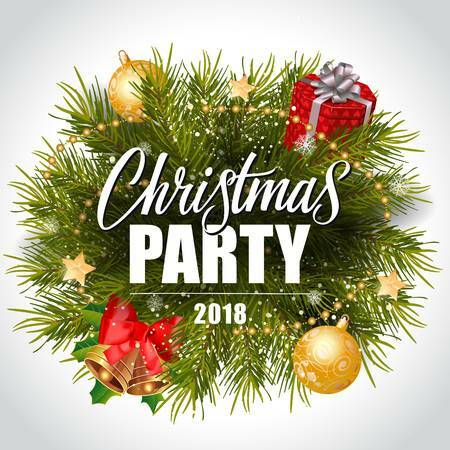 Annual Christmas Party is Tomorrow! Please Support Our Food Drive! The Omaha Area Local APWU Annual Christmas Party is tomorrow! In conjunction with this event, each year the Omaha Area Local holds a food drive to give back to the community. Read more about how to support our food drive! The Omaha Area Local will hold the annual Christmas part on Sunday, December 16, 2018 at the Durham Museum, 801 South 10th Street. Read more about the local's biggest event of the year! 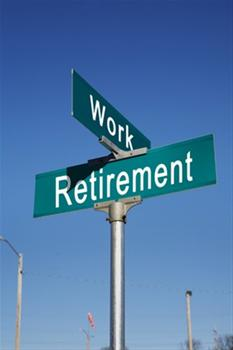 The Omaha Area Local is hosting two retirement seminars on Sunday, November 18, 2018, at the Hilton Omaha, 1001 Cass Street (across from the CHI Center). Read more to access power point material and specific information for this event.